As winter rolls into spring, it has been a very busy time for the Social Science Department. 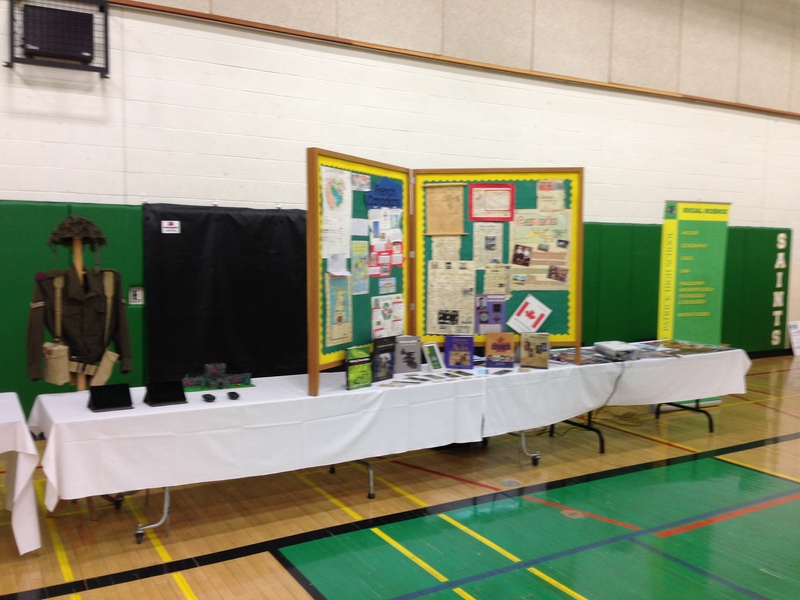 In early February St. Patrick High School hosted its annual Open House for prospective Grade 8 student. Despite the snowstorm we experienced that day, the event was fairly well attended. Quite a number of people stopped by our booth to chat and ask questions. One of the most popular topics of conversation was our bi-annual European history tours through EF Canada. Even though Vimy 2017 is still more than two years away, the trip is currently full with several students on a waiting list. However, we assured the Grade 8 students and their parents that by the time they reach Grade 12 we will have another tour on tap. Looking ahead to 2019 we are contemplating something different, maybe a visit to the battlefields of Italy as a change of pace. 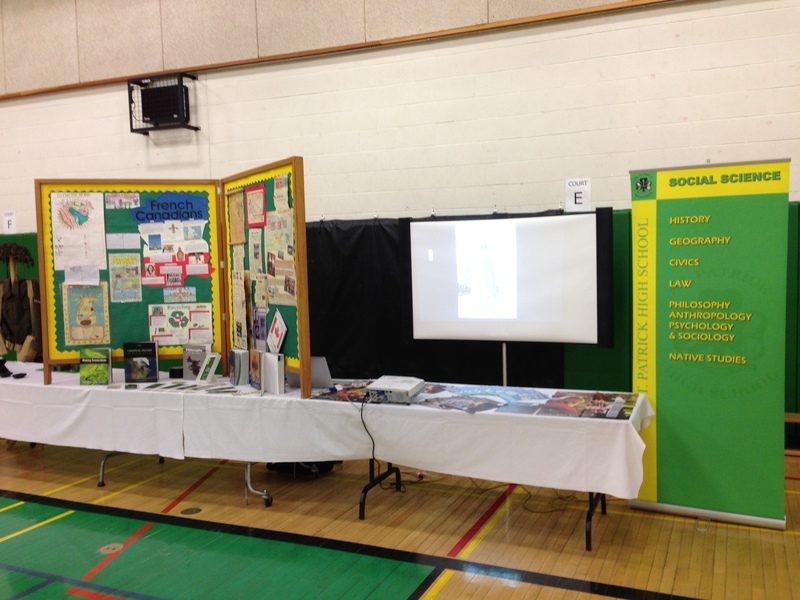 Social Science booth, February 2015. 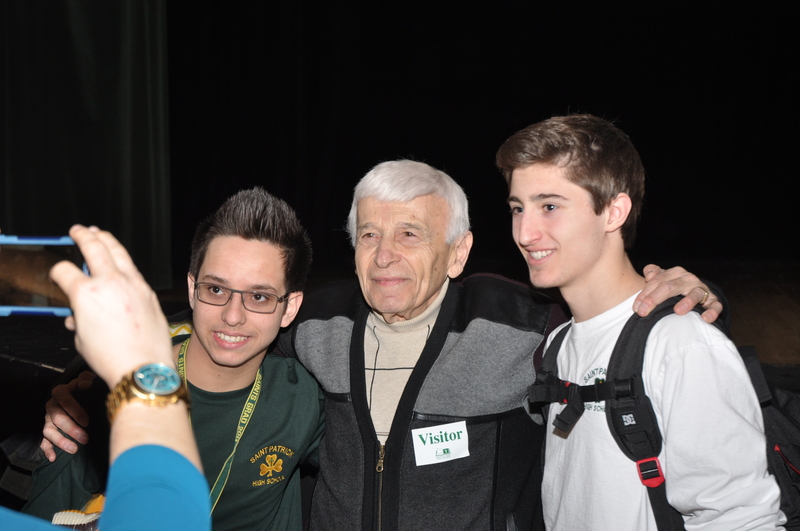 On March 11th the department and the school were very privileged to host a special visitor for a second year in a row. 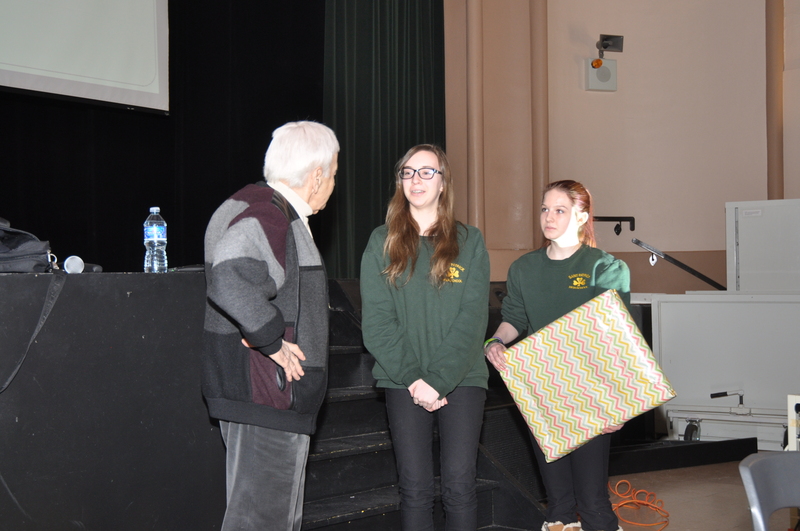 Max Eisen hails from Toronto and came to Thunder Bay to share his story of tragedy and survival during the Holocaust. 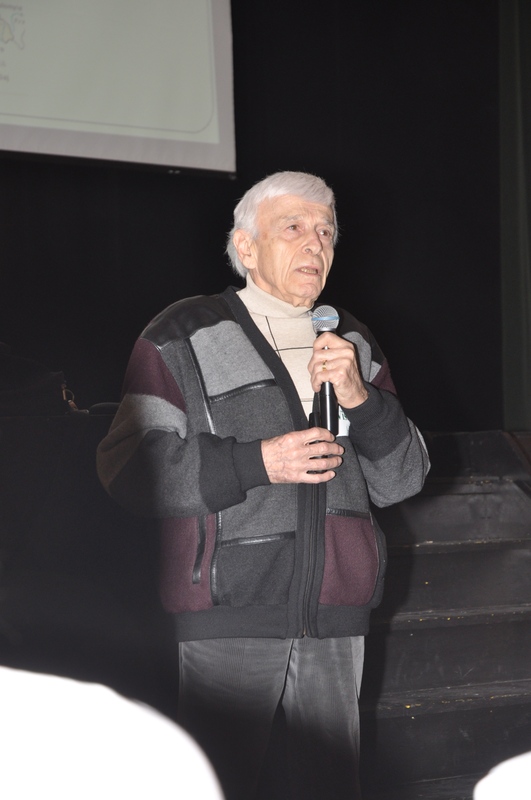 In the spring of 1944, then 15 year-old Max, his family and thousands of other Hungarian Jews were rounded up and set to the Auschwitz concentration camp. While he was very fortunate to survive the horrors of the camp and a subsequent death march, most of his family perished. Speaking to a packed Auditorium of social science, English and religion students, Max’s personal experience certainly struck a chord with those in attendance. Afterwards, there was a long line-up of students who wanted to chat with Max or even just shake his hand; many were at loss for words. Special thanks go out to Ms. Caza for helping to organize Max’s visit and are very hopeful he can return next year. Gyllean and Denae present to Max, March 2015. Nick and Matt with Max, March 2015. 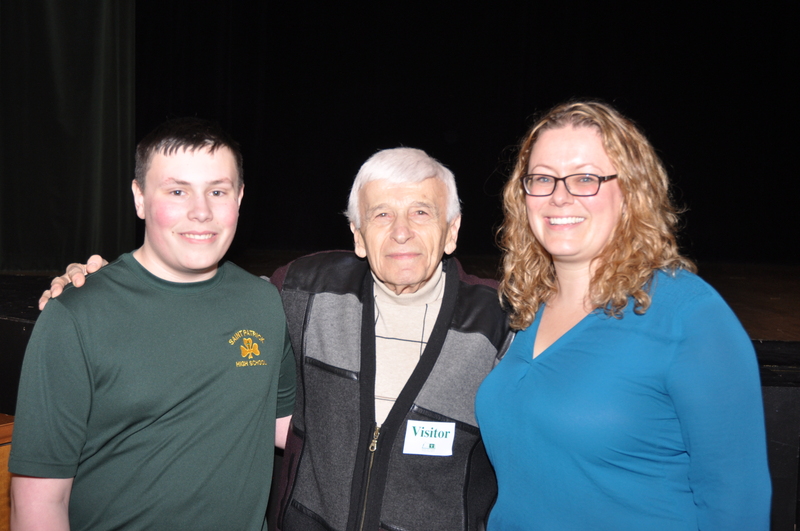 Stewart and Ms. Caza with Max, March 2015. Please check back regularly for the latest news and information.